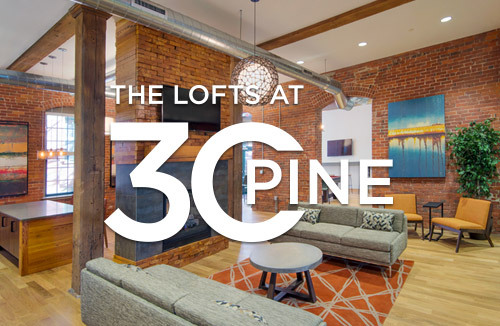 Gardner and Braintree, MA (July 21, 2017) – Peabody Properties is proud to announce that The Lofts at 30 Pine in Gardner, Massachusetts, has been selected as a 2017 National Apartment Association (NAA) Excellence Award recipient in the Best Community, Specialty (Affordable) Category. Susan Gustin, Creative Director/Public Relations with Peabody Properties, accepted the award on behalf of the firm at a June awards ceremony, held at the NAA Education Conference & Exposition in Atlanta, Georgia. The Lofts at 30 Pine is in the heart of historic Gardner and offers 55 one-, two- and three-bedroom contemporary apartment homes. The loft-style apartments preserve many of the industrial features of the once prominent furniture manufacturing complex, including exposed beams and columns. The National Apartment Association is a non-profit trade association of apartment communities, owners and suppliers. These member companies are also part of NAA with their membership at the local level. Members represent the various facets of the multifamily housing industry: apartment owners, management executives, developers, builders, investors, property managers, leasing consultants, maintenance personnel, suppliers and related business professionals throughout the United States and Canada. NAA has its headquarters in Arlington, Virginia.